Calgon Carbon is at the forefront of the activated carbon industry and also specializes in ultraviolet light disinfection and oxidation. For nearly 75 Years, Calgon Carbon has created innovative and cutting-edge purification systems for drinking water, wastewater, odor control, pollution abatement and more. They currently offer carbone technologies used in over 700 distinct market applications ranging from air purification and drinking water to food purification and pharmaceutical processing. 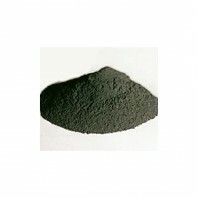 Discount Filter Store offers Calgon Carbonâ€™s FILTRASORB 200 granular activated carbon (GAC), intended to be used in a variety of liquid phase applications for the removal of dissolved organic compounds. For over 40 years, FILTRASORB 200 (F-200) has been successfully applied in applications such as drinking and process water purification, wastewater treatment and industrial purification. Produced from a pulverized blend of high quality bituminous coals, F-200 is a high quality, high density product that results in greater absorption capacity per unit volume. Not what youâ€™re looking for? Discount Filter Store also offers Tier1 water filtration products from leading brands like Fifty Fifty, Zerowater and Whirlpool.